WE WELCOME ANYONE WITH ENTHUSIASM AND COMMITMENT FOR SINGING TO JOIN US. 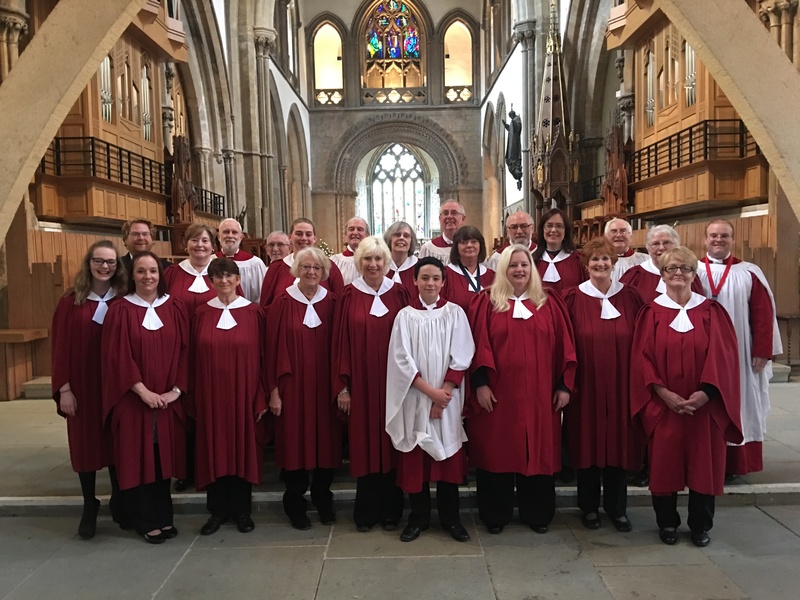 Our four part robed choir sings most Sundays of the year at the 9.30am Eucharist and 4.30pm Evensong, as well as special services and events. On the 3rd Sunday of the month we sing Choral Evensong. We are also affiliated to the Royal School of Church Music. Our aim is to enhance the sung worship of the church, serving to the best of our ability as a response and as an offering to Father God. We are an enthusiastic mixed voice group and we love new members! Our Church has a long established choral tradition which we cherish. We are keen to develop this heritage into the future whilst recognising the value of fixed points in our changing culture. We sing standard settings, psalms, anthems, Iona and Taize chants. We have Choir practice every Wednesday evening @ 7p.m. in All Saints’ Church, except during the month of August, and half an hour before the start of each service. For more info please call James Bull on 07429 598820, or email him by clicking here. James joins us from the Parish of All Saints’ Penarth, where he has been Organist and Choirmaster for the past two years. 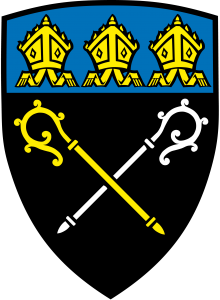 He has previously held the post at St. Peter’s Church, Peterston-super-Ely. He sang as a Chorister in Llandaff Cathedral before becoming Organ Scholar at the Metropolitan Cathedral in Cardiff. He read Music at Cardiff University and is deeply involved as an organist and directing choral groups throughout Cardiff and the Vale. He is an active recitalist touring all over the UK as well as visiting European countries, recently including Slovakia, Hungary and Italy (in Rome where he played at a mass in the Vatican). 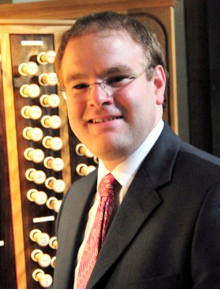 James has been a frequent student at the Oundle International Festival for Organists, receiving a number of the prestigious recital awards and high praise from the tutors. He has studied with the late David Sanger, Guy Bovet, Lorenzo Ghielmi and John Scott (Organist at St. Thomas’ New York) to name a few. He has also broadcast as a solo artist. James has also attended the Eton Choral Courses under Ralph Allwood, a course well known for its superb choral training and he has also studied with and taken part in master classes with Dennis O’Neil. James is married to Ann Marie and they have four children. In his spare time he enjoys walking, skiing and acting in the local amateur dramatics society in Peterston-super-Ely. The organ was installed on completion of the Church and was dedicated by the Lord Bishop of Llandaff on Saturday 24th April 1915. The original cost was £750. The Carnegie Trust contributed a grant for half and the other half was raised through fundraising activities organised by Lady Beatrice Stewart. The organ was built by Evans & Barr of Belfast. It was very favourably reviewed at the time both for its excellent design and performance. 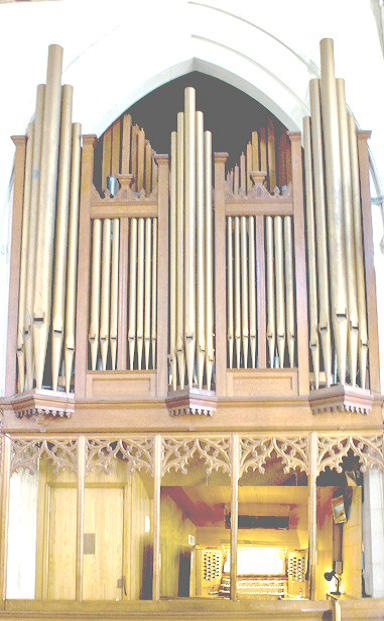 In 1987, the organ was extended and modified, using additional pipework from Salem Baptist Chapel, Porth. An extra manual was installed and the pneumatic action was replaced with an electric system. The organ now has 3 full manuals, the Swell Organ, the Great Organ and the Positive Organ or Solo Manual. It was re-dedicated by the Lord Bishop of Llandaff on 8th December 1989. Dedicated ‘To the greater glory of God and in memory of the late Dorothy Gladys Holland’ whose bequest largely financed the work. In 2010, the Organ was consistently misbehaving itself. Following the recommendation of the Incumbent at the time PCC, it was agreed that there would be a two year appeal, with a target figure of £70,000 needed to cover the costs of the work, as assessed by Cleveland Organs. An official appeal launch took place in the first week of June 2011. The appeal ended in September 2012 when it exceeded the financial target. The organ was re-dedicated by The Very Reverend Barry Morgan, Archbishop of Wales, on Sunday November 24th 2013. This was followed by a glass of cava and celebration cake, kindly made & donated by Barbara Butts. A talented ensemble of young musicians meets weekly to rehearse at All Saints’ Hall and add to worship on several occasions throughout the year, especially at services aimed at young people. For more info please contact Jo by clicking here.